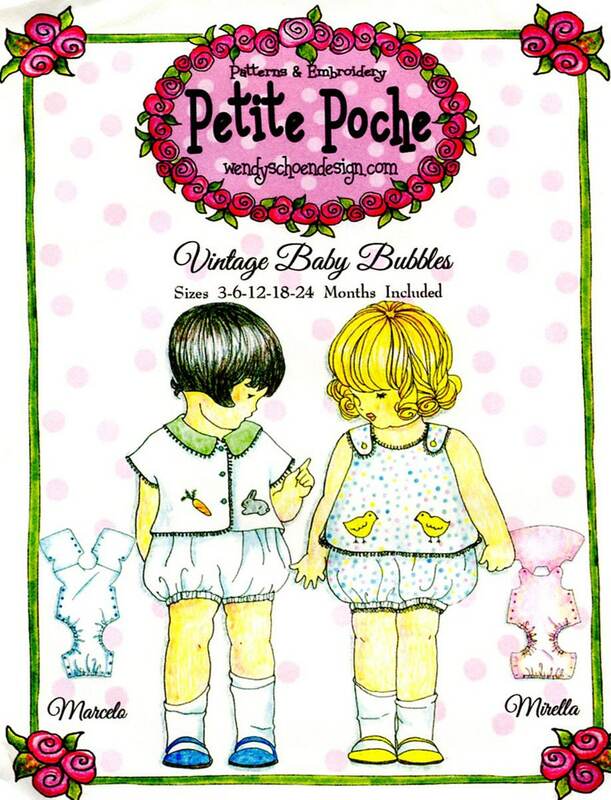 Vintage Baby Bubbles is a brother-sister baby bubble pattern. Viewed from the front these precious bubbles appear to be two pieces but actually they are all-in-one. Simple to make and comfortable to wear there is a version for a baby boy, Marcelo, and a version for a baby girl, Mirella, The elastic leg and waistband allow for comfort and wear ability. 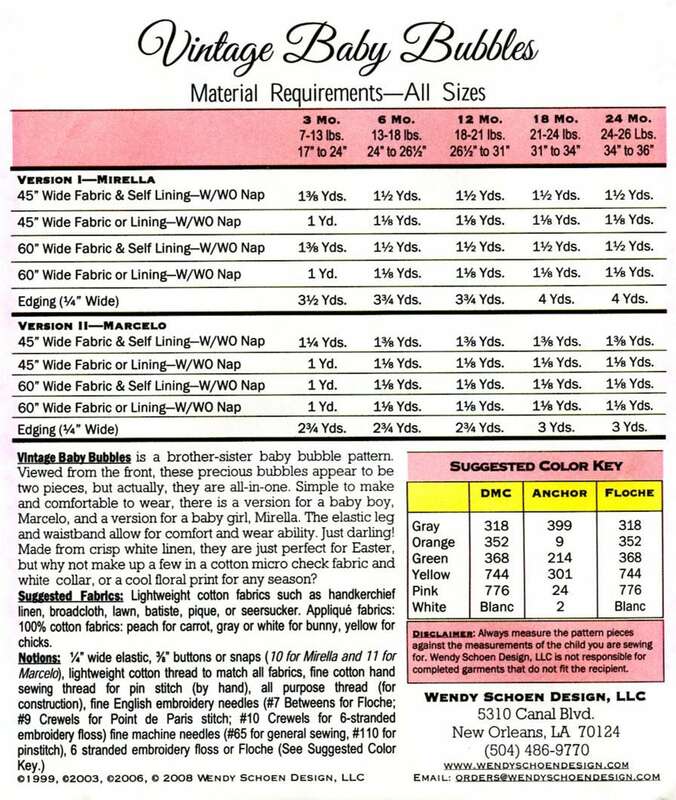 The pattern contains two complete multi-sized bubble patterns, Applique instructions, embroidery lesson, and detailed instructions.